What is the "Problem Bank List", and Is My Bank On It? The FDIC (or The Federal Deposit Insurance Corporation) reported that 90 banks, or a full 1.1% of the banks that fall under its watchful eye, landed on their "problem bank list" in the first quarter of 2008. 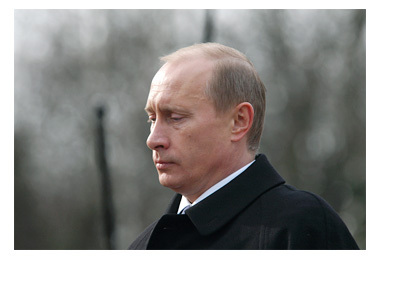 According to CNN.com, this is up from 53 in the first quarter of 2007, and up from 76 in the fourth quarter of 2007. The FDIC is a government organization that guarantees checking and savings account deposits of up to $100,000, and Individual Retirement Accounts (IRAs) up to $250,000. According to FTN Midwest Research analyst Peyton Green, "the number of problem banks is rising, but from an almost non-existent level" and that "we will see this start to accelerate and then continue for some time". Other worrisome stats - the number of banks on the "problem list" is the highest that it has been since Q3 2004, and this is the sixth straight quarter that we have seen an increase in the number of "problem banks". 1. 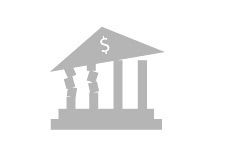 What constitutes a bank falling on the "problem bank list"? 2. Is your bank on the list? 1. Banks are examined every 12 to 18 months. They are rated on a scale of 1 to 5 - 1 is the best rating that a bank can have, and 5 is the worst. There are a number of factors that are involved in determining a rating, including: Asset quality, capital levels, liquidity, earnings, etc. These examiners will pore over a banks details every 12-18 months will be looking for red flags, including: not even cash on hand to cover withdrawals, poor risk management policies, increasing delinquent loans without the proper capital to cover the losses, etc. It's important to note that many banks that appear on the "problem bank list" do not actually fail. Normally, the necessary steps are taken to correct the situation. According to CNN.com, an average of 13% of the banks that appear on the list actually end up failing. Though according to various sources, a bank appearing on the problem list is not necessarily a prerequisite to it failing. A bank can still fail without appearing on the "problem list" first. Apparently IndyMac Bank did not appear on the "problem bank list" before failing, because its financial position had deteriorated so rapidly. Anyways, that's the "problem bank list". 2. Is my bank on this list? The banks that appear on this list are NOT publicized. Why? Regulators are looking to avoid a "run on the bank" that would lead vulnerable (but not insolvent) banks quickly down the road to collapse. Think about it - if you found out that your bank was on the list, there is a good chance that you would want to pull your money out, right? Regulators are looking to avoid this, which is why they don't publish the actual list. If your bank is a publicly traded company, then you can access plenty of information in their quarterly and annual reports. If you are worried about the solvency of your bank, don't be. Your money is insured up to $100,000. If you have more than $100,000 sitting in your checking or savings account, then consider opening up a separate account at a different bank, and depositing some of your money there. The FDIC insures up to $100,000 PER account, so if you have 10 different accounts with $100,000 in each account, then your full million dollars is insured. Even people with more than $100,000 in their accounts at a bank like IndyMac (which failed) will still likely receive their full account balances. Bank officials are working to split the larger account balances into separate accounts (so that the full balance is covered by the FDIC) or transferring assets into different banks. The situation seems dire, but it has been MUCH worse in the past. Keep in mind that only five banks have failed this year so far (IndyMac, First Integrity, ANB Financial, Hume Bank, Douglass National Bank). That's obviously still a large number, but not when you remember that there are 8,500 banks in the United States. In 2002, twelve banks failed. And don't forget about the "Savings and Loan Crisis" - in the 1980s and 1990s, 747 savings and loans associations failed in the United States. The situation in the United States will almost certainly get worse through the next year or so, but we've been through extremely bad times before as well. It will be interesting to see how the administration deals with the current banking crisis.